Heiken Ashi is a popular Japanese analysis technique based on candlesticks. Heiken Ashi is a price representation technique which colorizes candles in blue and red to generate trading signals. In this article you will learn how to combine it with the Bollinger Bands to catch quick profits. 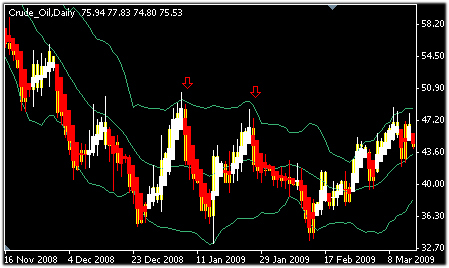 Heiken Ashi is a popular tool that is used by many traders to base trading decisions. However, it is not a profitable indicator if it is used without confirmations. 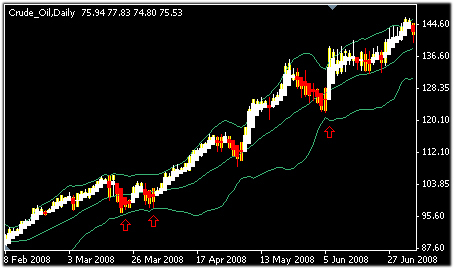 Bollinger Bands are a very useful confirmation for the Heiken Ashi, which help increase the win rate and profitability. The basis of confirming with the Bollinger Bands lies in the fact that the Bollinger Bands serve as support and resistance levels. 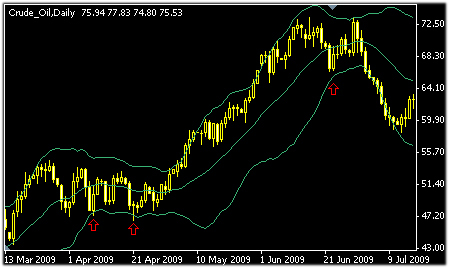 The Bollinger Bands are a dynamic form of support and resistance, and therefore serve as good entry points. Instead of using the Heiken Ashi by itself, we demand that price is in alignment with the Bollinger Bands. 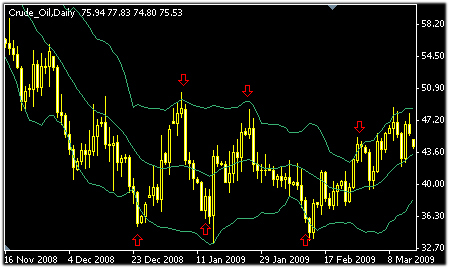 Long trades are taken only near the lower band and only if the middle band is flat or trending up. Similarly, short trades are taken only near the upper band and only if the middle band is flat or trending down. This confirmation is a powerful technique of confirming indicators with price-action and support and resistance. This allows the trader to have much higher win rate and stronger signals.